My son Gabriel was Bendy for Halloween, my husband made the head piece. It is made out of paper mache and he painted it and drew the face. It took 1 week to make. 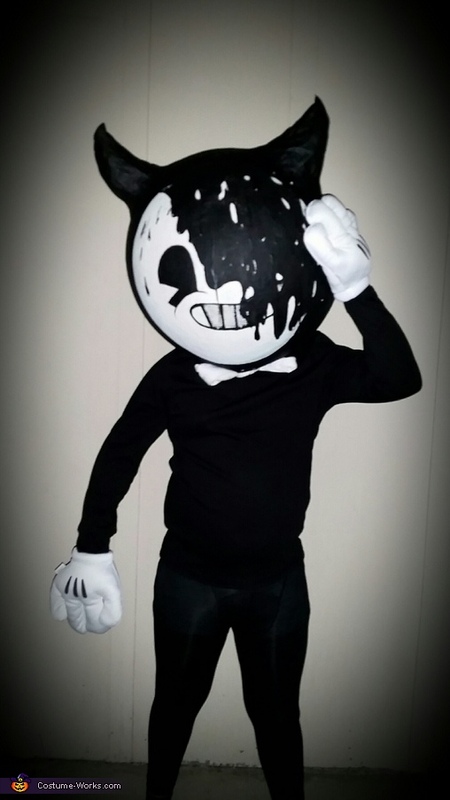 This I actually a really good looking bendy costume I wish you luck.